LG will have rollable OLED TVs unveiled at the Consumer Electronics Show next week, with Engadget getting its hands-on “internal documents highlighting intended topics for the presentation, and it appears that the prototypes we’ve seen in past years from LG Display are ready to take center stage, perhaps with an eye for launching it next year as a real product”. 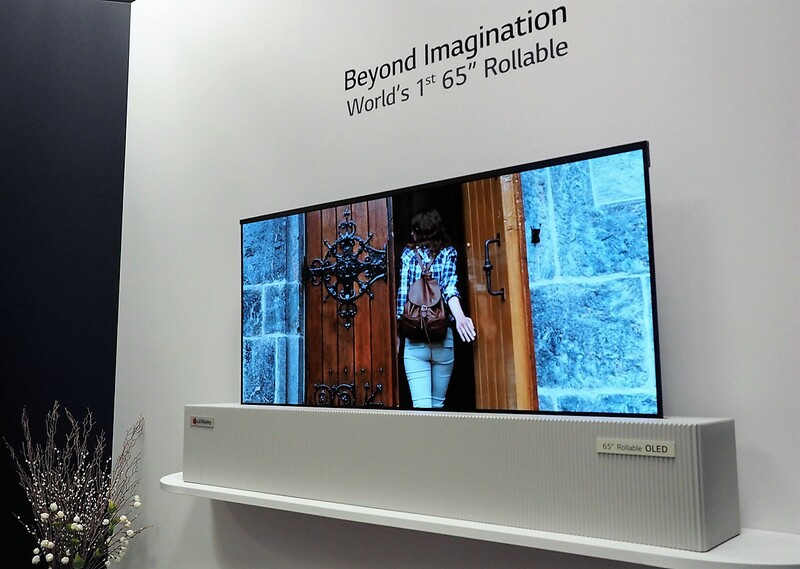 We won’t only be introduced to new 120FPS-capable TVs, new 2019 OLEDs, 8K sets and a new projector but we’ll also see a rollable TV of some sort unveiled. On top of that we’ll see a new foldable smartphone according to Evan Blass, but we don’t know whether it will be a concept piece or something officially teased and will change before it hits the market.